Still love music from 60s 70s, fast cars, NY Pizza, movies, traveling, not working, having 4 grand kids, having my sisters Kathy and Janet living here in Az . Talking to old friends like the time never changed us! At least the things I can remember ! Yankees are #1, watching football, hockey games and basketball are part of my fun times.,,especially with a cold beer in my hand. Mrs. Joslin the school nurse giving me a pass for a day off school; if I took a "test" only to find out it was for a scholarship to St. Josephs Nursing school....who would have thought!Thanks Mrs. Joslin. Lynne Sullivan Keller has a birthday today. Lynne Sullivan Keller posted a message. Hi neighbor! Hope to hear from you. Lynne Sullivan Keller added a comment on her Profile. Lynne Sullivan Keller added a photo to her profile gallery. New comment added. Lynne Sullivan Keller added a photo to her profile gallery. some really tall basketball players! Lynne Sullivan Keller updated her profile. View. Lynne Sullivan Keller posted a message. New comment added. Hi Barb, wow the memories ! I remember your mom taught me how to put mascara on ! reading about the truly "good old days" Seems like everyday is a great day, and it does become the past with every passing day. So I'm looking forward to seeing you and many of our friends from yesteryear! Is that really a word, I hope to c u in 2016 or sooner! How is the "family". I miss your posts. So good getting on this site and hearing from everyone. I remember Al, so happy for you both; 44 years, time goes so fast. We just had our 39th Anniversary. I plan on coming to the reunion and spending as much time as I can in NY, I miss the city. I still have a few cousins and an Aunt and Uncle I want to see, most of our family moved to Connecticut , Florida and my sisters live here in Az. so I can't be too lonely. I still keep in touch with Rita Natale(O'Neil) and Billy Bartunick. I will see how to get on FB for you and some others. I see a bunch of the girls on there. Stay happy. 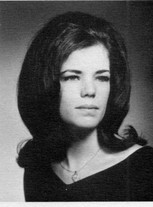 Lynne Sullivan Keller joined via Class Connection Facebook app.